Giancarlo Minardi's team may not have won any Grands Prix but if there was a prize for talent-spotting he would be top of the podium. In 2001, 19-year-old Spaniard Fernando Alonso was the latest Minardi hotshot to impress and progress to a bigger outfit. For many he was the rookie of the season, and that was in a year which saw the debuts of Juan Pablo Montoya and Kimi Raikkonen. Alonso was managed by Flavio Briatore who was the boss of the Renault team at the time. The wily Italian was no stranger to Minardi, having worked with the team in the late nineties and he offloaded Alonso for one season only. Alonso's father was a man on a mission, building a go-kart for his son when he was just two-years-old. 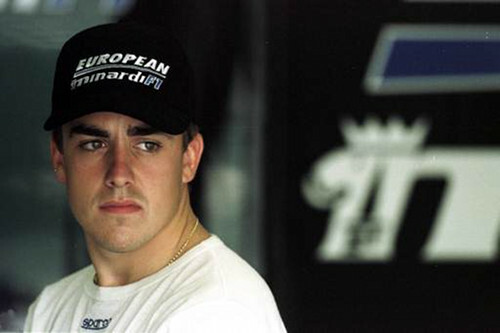 By 1996 Alonso was World Junior Karting Champion and he stayed in karts for two more seasons. 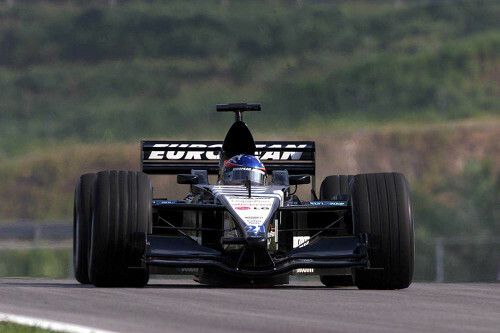 In '99 he became Euro-Open Nissan champion in the team run by compatriot and former Minardi driver Adrian Campos. The next season Telefonica-backing secured his break in International F3000 with Astromega. There's no doubt he was quick, overtaking rivals near the back of the pack lap after lap. Unfortunately he would then cancel this advantage by over-driving and going off into the gravel. It was clear he was good, if only he could keep his car off the grass and gravel. He did just that later in the season at Spa and won his first F3000 race. 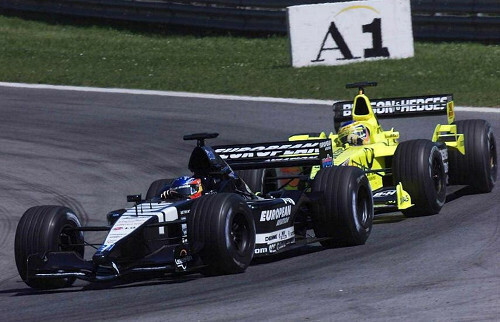 Briatore quickly signed Alonso and, with Telefonica smoothing the way, he became Minardi's test driver in 2000. Alonso finished the F3000 season fourth. With just two years of single seaters under his belt Alonso took on a race seat in Formula 1 by signing with Minardi in 2001. He outperformed team-mates Tarso Marques and Alex Yoong although there is some debate about Alonso receiving the better equipment. In any case, he often qualified some places away from the other Minardi at the back of the grid. His racecraft belied his years and his speed belied the old Ford engine in the back. Gustav Brunner, Minardi's head designer at the time said he could not believe the young Spaniard's speed as the car was in his mind not able to go as fast as Alonso made it go. While Alonso's best result was a tenth spot at Hockenheim, his best race for Minardi was his farewell stint at Suzuka in which he finished ahead of six other cars even lapping Olivier Panis in the BAR. Sadly for Faenza, Flavio recalled Alonso to be test driver for Renault in 2002 but a controversial "palace coup" took place mid-season with Alonso being promised a race seat for 2003. Williams-sponsored Jenson Button had been ousted in the name of 'contract continuity' at Renault. Alonso had driven a canny bargain in 2000 and would be free of his contract with Flavio if he didn't get him a race seat in 2003. In 2005 Alonso took his first Formula 1 World Championship with Renault, becoming the youngest driver and first former Minardi rookie to do so. He won the championship again in 2006. Alonso moved to McLaren, later returned to Renault and had a successful stint at Ferrari, finishing runner up in the championship three times between 2010 and 2013. In 2015 he rejoined McLaren.